Britain, France and Germany called on the Saudi and Turkish authorities on Sunday to mount a "credible investigation" into the disappearance of Saudi journalist Jamal Khashoggi, saying they were treating the incident with "the utmost seriousness". "We encourage joint Saudi-Turkish efforts in that regard, and expect the Saudi Government to provide a complete and detailed response. 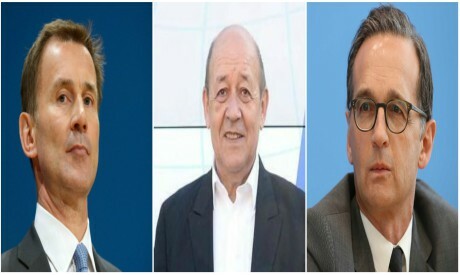 We have conveyed this message directly to the Saudi authorities," the statement by British foreign minister Jeremy Hunt, France's Jean-Yves Le Drian and Germany's Heiko Maas said.